You may have gone previous years without celebrating boss’s day, but it shouldn’t stop you from starting this year – they need to feel appreciated too. Boss’s day is not about expecting something in return but appreciating your employer. Share the memories with personalized boss gifts. As an employer there are many administrative duties that take careful planning and execution, which often go unseen by employees. 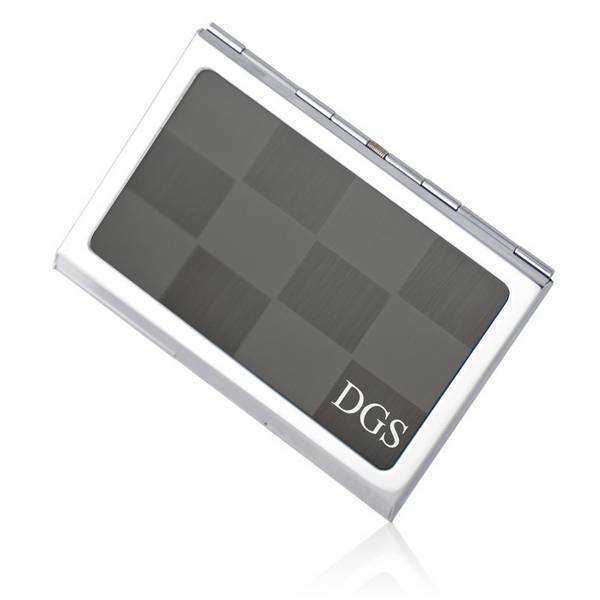 Recognize and praise your boss by giving a gift that reflects their careful planning with a personalized black checkered business card holder. Boss’s are avid readers of industry opinion and research with libraries filled with extensive knowledge. 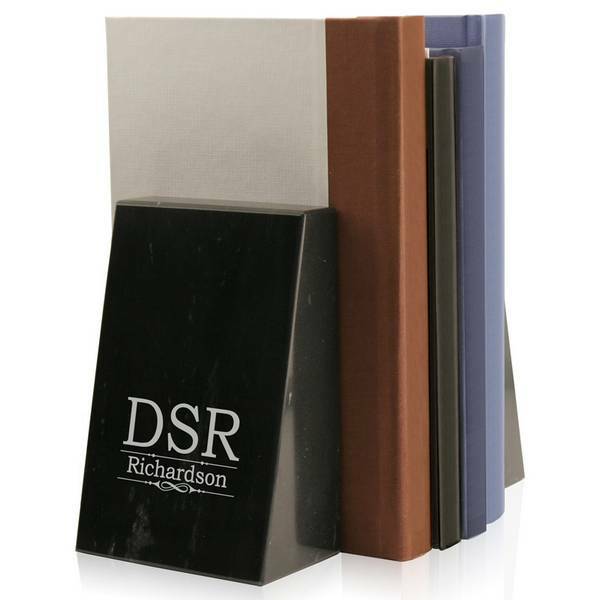 Finding a gift that speaks of their intelligence is best reflected in personalized marble bookends that serve as elegant pillars of wisdom. Gifts for your boss don’t have to be lucrative or expensive, so feel free to give a timeless keepsake. 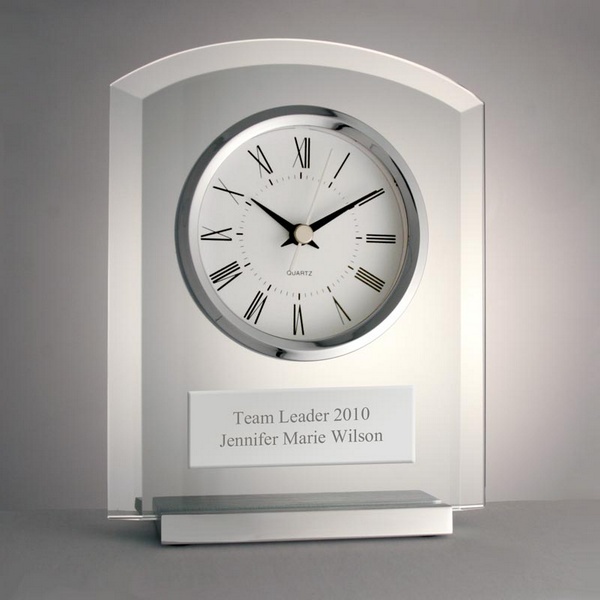 An elegant engraved glass clock serves as an award and desk clock, the personalized message is what makes the gift a timeless keepsake. Ending the work day with stress is never a pleasant experience so anything that can help is a gift in itself. 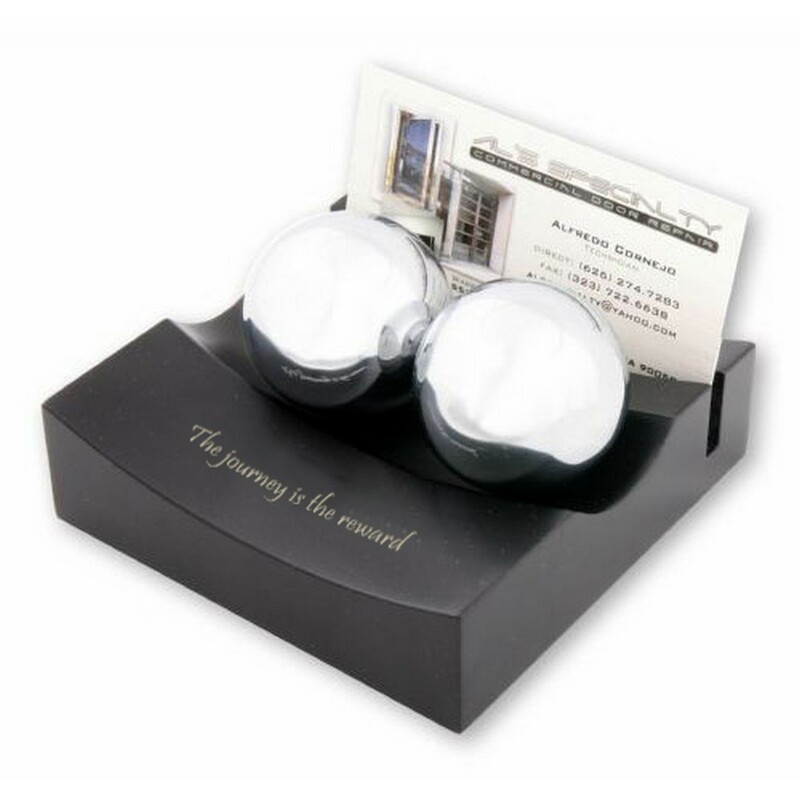 A personalized gift for a boss can come in the form of a stress reliever such as this classic oriental therapy ball set. The great gift for a busy person with a heavy workload, or for the boss that works late into the night. One of the best gifts to give is one that can still be personalized after it has been engraved. 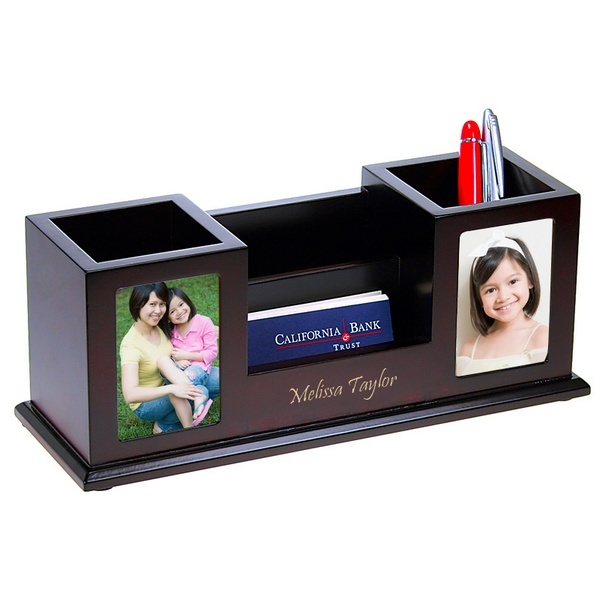 This desk organized with two photo frames lets your boss personalize to his liking with photos of his own, and accessorizing it with his office essentials. If your office is more like “The Office” environment then your boss should not be without his own personalized mug. 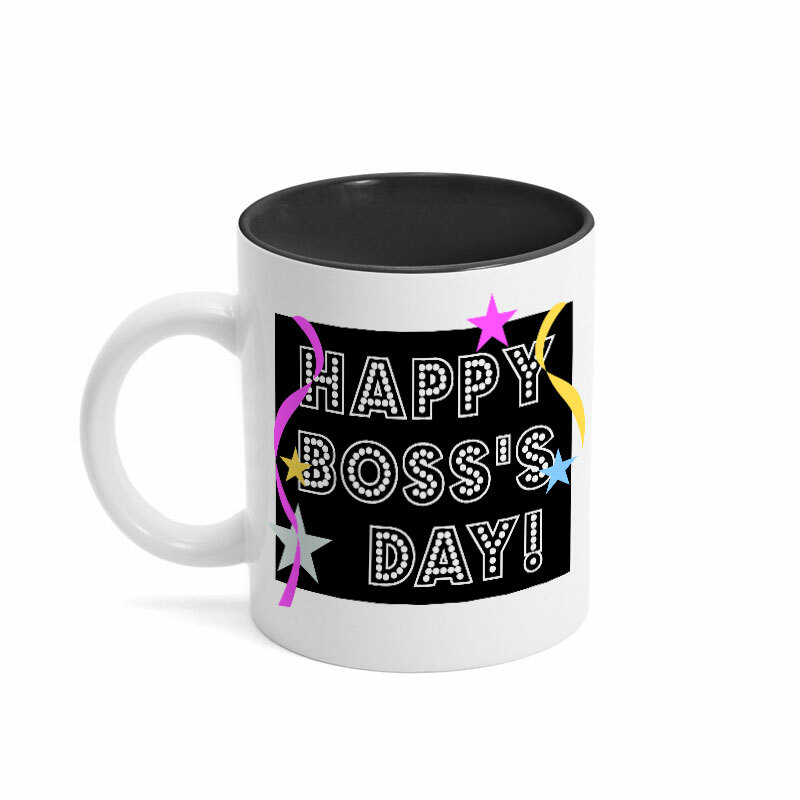 This boss’s day mug is vibrant, a great gift for a boss that gives motivational speeches and goes out of his way to make a connection with his employees. The perfect cup of ‘joe’ for the worlds best boss to toast with. It is never too late to start an office tradition, so this year show your appreciation with a gift.